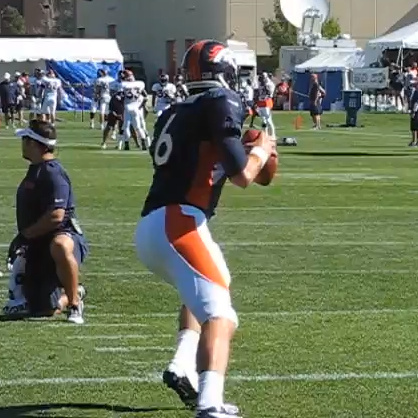 Wednesday's attendance at Denver Broncos minicamp was the same as Tuesday, with one exception. Linebacker Shaun Phillips was present after being excused on Tuesday for personal reasons. Meanwhile, former Broncos linebacker Randy Gradishar and safety Billy Thompson both were at Dove Valley today to take in practice. Both players are recognized in the team's Ring of Fame. Gradishar spoke with the team after practice and is one of three former Broncos—Steve Atwater and Terrell Davis being the other two—that has been snubbed by the Hall of Fame voters in recent years. “A good indicator of the future is the past. Those guys have been doing a lot of good stuff for us, and hopefully we can continue that on for our guys," linebacker Von Miller told DenverBroncos.com after practice. The Broncos will conclude minicamp on Thursday and report to training camp in late July.